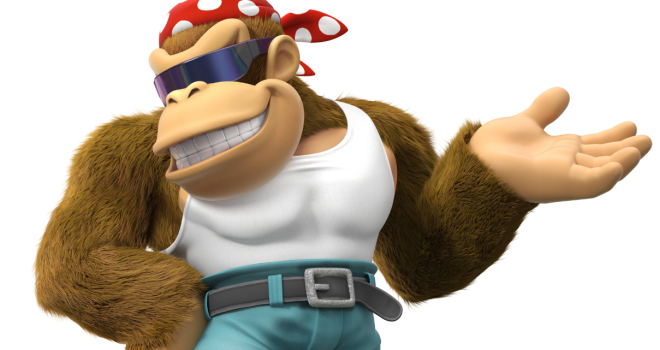 Nintendo confirmed that Funky Kong will indeed make an appearance in the upcoming Donkey Kong Country Tropical Freeze. Still no word as to what type of role he will play in the game. Could he be the pilot of the plane that crashes shown in the reveal trailer? Or perhaps he will fly you to different areas of the World Map like he did in the original DKC, or maybe he will be taking Cranky Kong’s previous role of owning an item shop. Either way, it’s always nice to see these classic characters returning! What other classic Donkey Kong characters would you like to see make an appearance in this game?